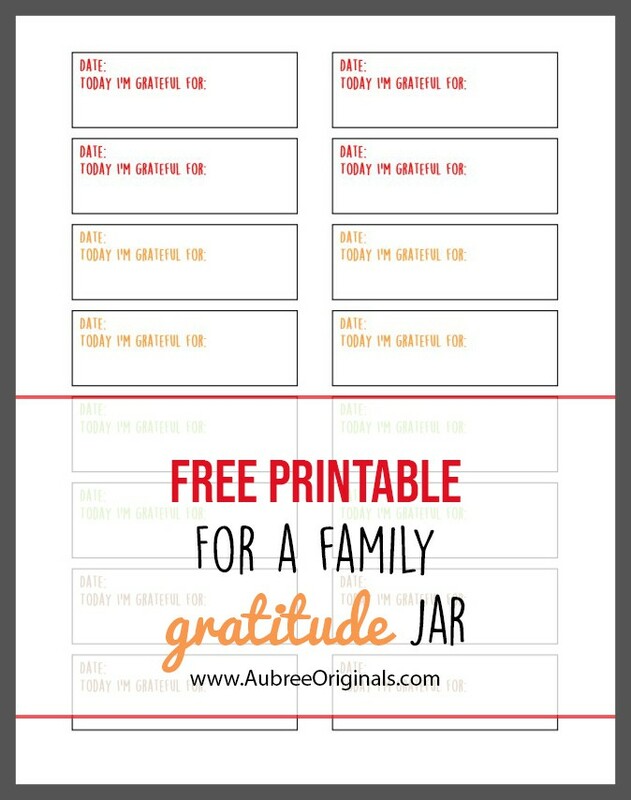 Start a family gratitude jar with this upcycled DIY idea and free printable! Perfect for the month of November. Collect them all month long and read at Thanksgiving dinner. I can’t believe Halloween is over! That came and went way too fast. And then I kind of forgot that November comes the very next day. So this post is a day late…oops. That’s my big blogging goal for the rest of the year: stay ahead of schedule so my content is consistent and relevant to the current season–it’s a lot harder than it sounds. So, it’s tempting to start on Christmas stuff right away (and my goodness, I really should’ve started making my Christmas gifts ages ago), but…we can’t neglect November. Poor November, always sandwiched between two amazing months–it just gets overlooked. I’m sorry November. I’ll do better this year. I woke up yesterday morning and finally had a bunch of ideas for November blog posts. And then I remembered that I wanted to start a gratitude jar with Jared, starting November 1st–which I maybe should’ve been planning for ahead of time. Oh well, I work great under pressure. Especially when it’s a craft project. 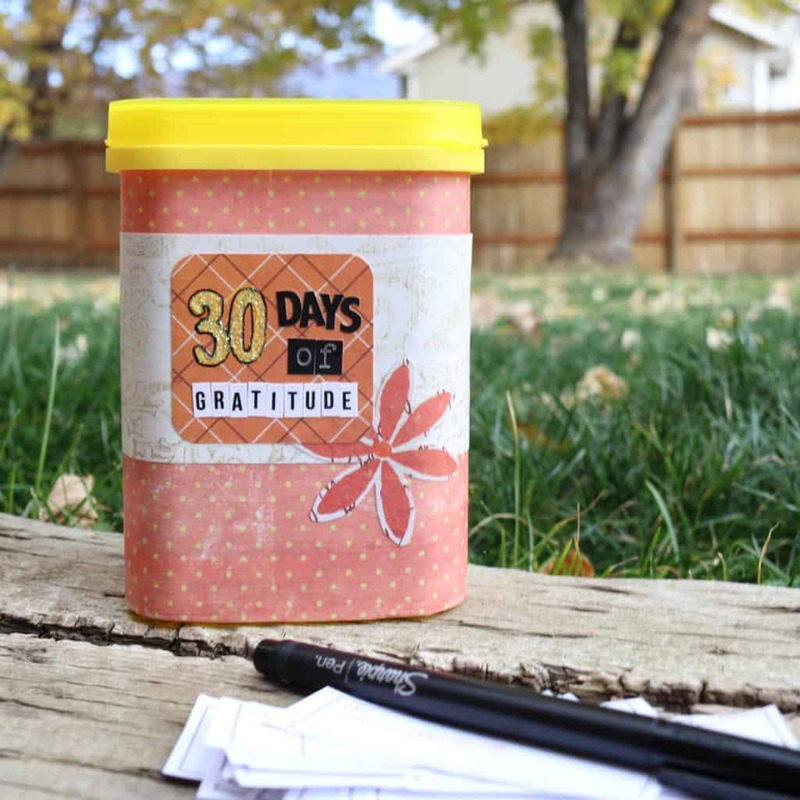 A gratitude jar is a great way to appreciate this month and the Thanksgiving holiday. 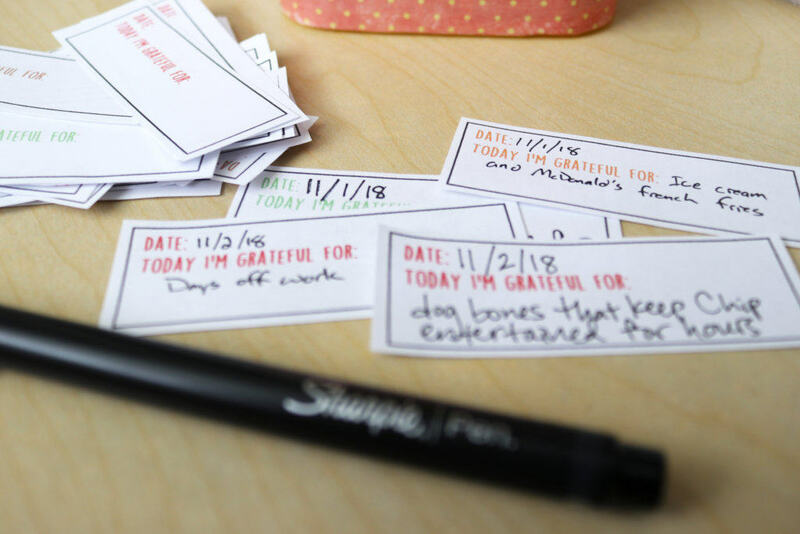 I admire the people who are able to keep gratitude jars or journals year-round. 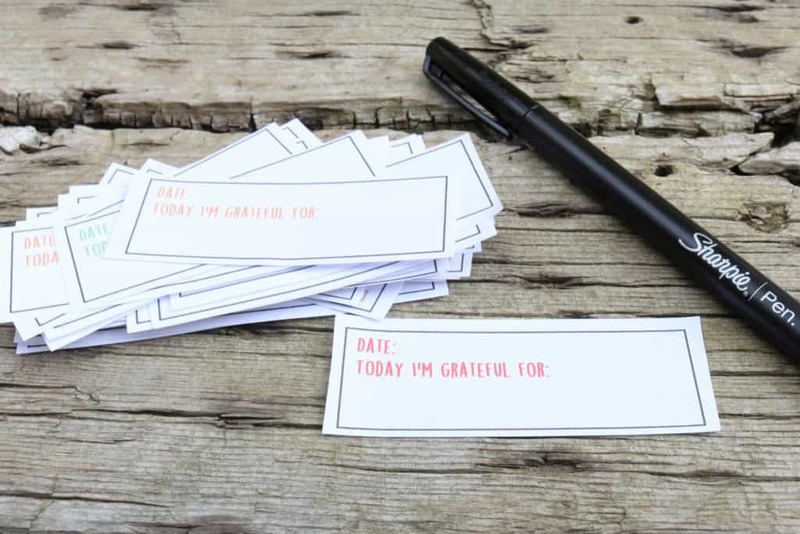 I think there are some amazing health benefits to expressing gratitude, but it’s something I often forget to do. I’ll be excited to report back at the end of the month about my experience! Chip approved of my container choice. 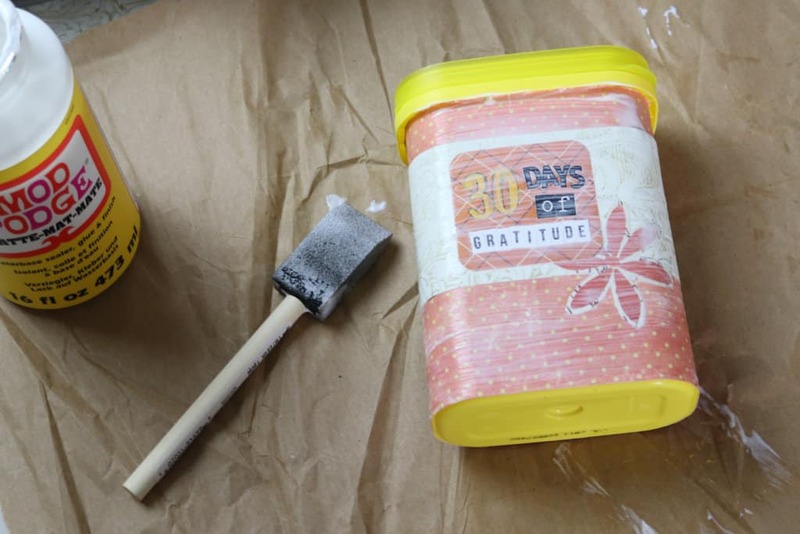 I love Mod-Podging containers and giving them a new life–and bonus points for recycling! You could do this with any smallish container you have on hand–oatmeal, baby formula, and baking powder all come in great-sized cans–but a simple mason jar would be fine too. There are endless decorating possibilities with scrapbook paper, stickers, and a few embellishments. Mod Podge–I always go with matte! Measure and trim your paper to fit the container. Leave enough paper for a little overlap when wrapping it around your container. Apply Mod Podge to the paper. 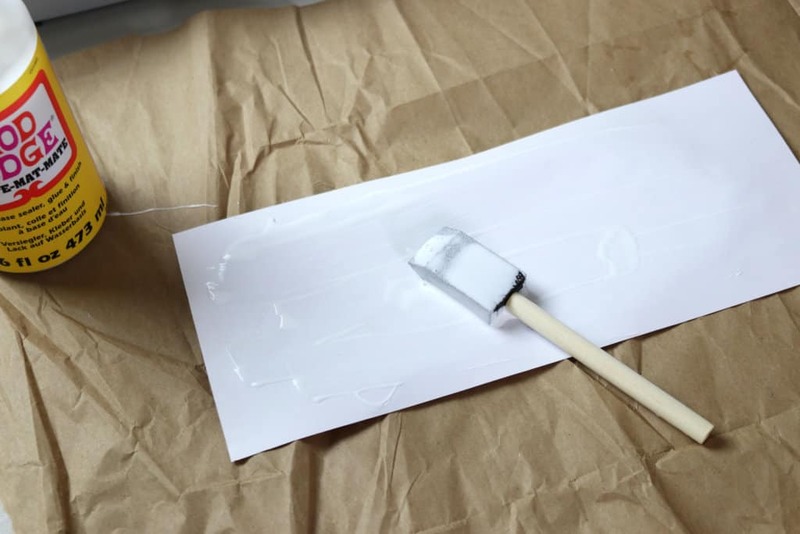 Make sure to use enough Mod Podge: if you apply it too thin, it’ll dry before you get a chance to adhere it to the container and you’ll get air bubbles. Cover your container, pressing and smoothing the paper down as you go. Wipe up excess Mod Podge as needed. 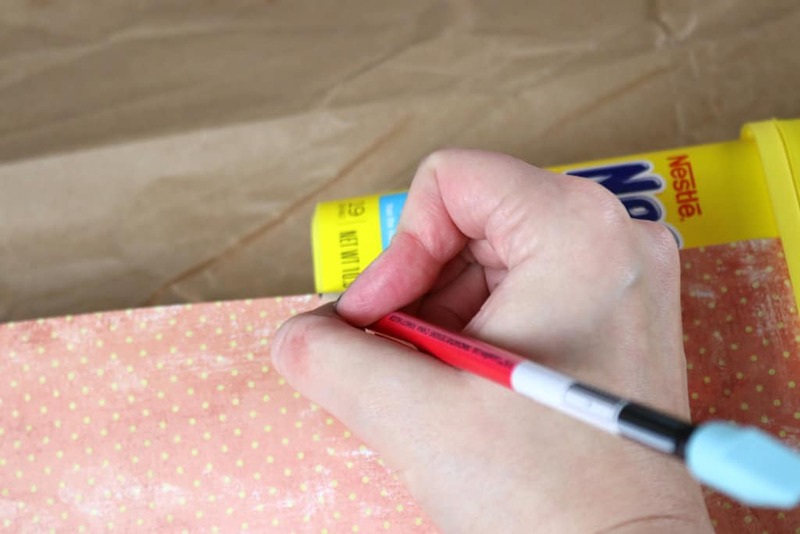 Glue any flat paper elements to your container with Mod Podge in the same way as step 4. I added the extra strip of paper, the flower, and my text box. I applied stickers before moving onto the next step. Optional: apply a top coat of Mod Podge for a finished look and protection. I like to do this especially when I have letter stickers that might peel up or fall off. 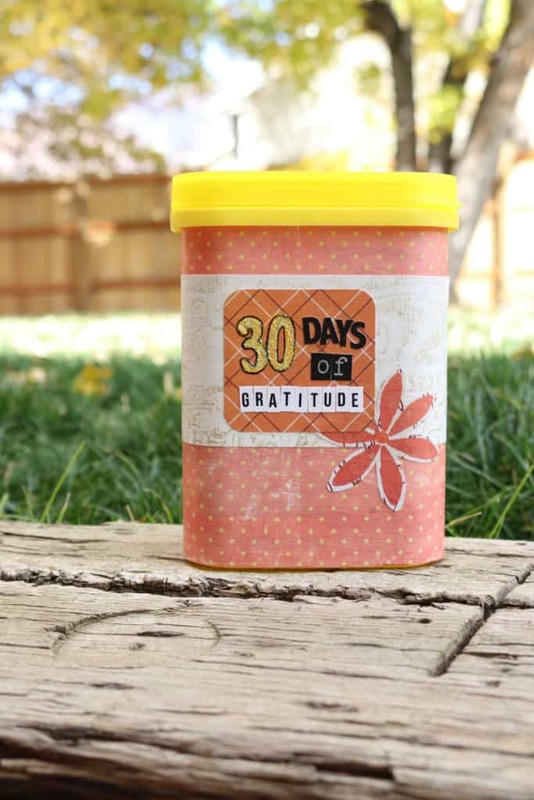 Fill your container with whatever you’d like–in this case, a whole bunch of gratitudes! I have plans to save the gratitudes in a scrapbook layout at the end of each November–because I’m totally making this a tradition, and that would make for a fun scrapbook to look back on later, especially if you have little kids who are participating. 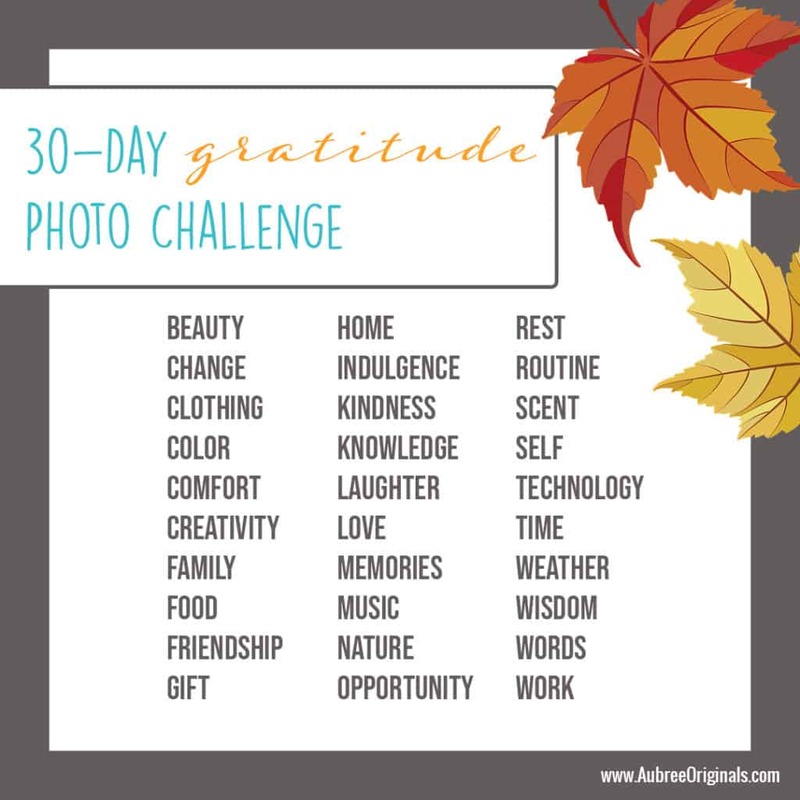 If you’re interested in more gratitude ideas for November, I’m also going to attempt a 30-day gratitude photo challenge on Instagram. I’ve seen several different ones floating around, but I decided to make my own list of word prompts. I decided I wanted to be able to choose which prompt to do each day, so my list is just in alphabetical order. Maybe that’s cheating and makes this less of a challenge, I don’t know. But I’ll still be expressing gratitude and I think that’s the important part! 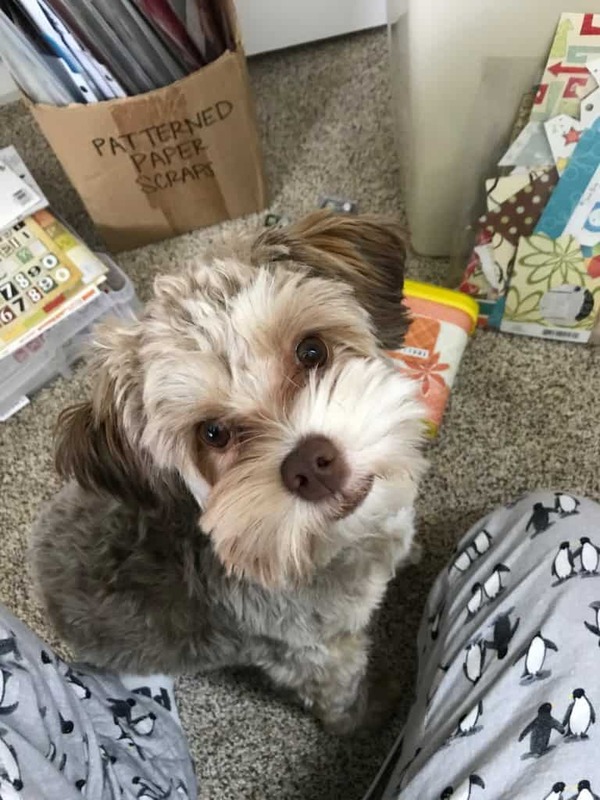 He’s so stinkin’ cute, how do you not let him hang out with you? 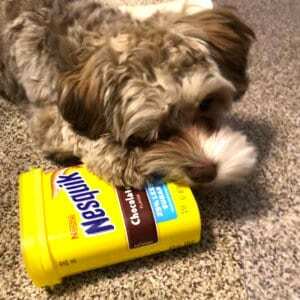 Even if he does try to eat everything in sight.